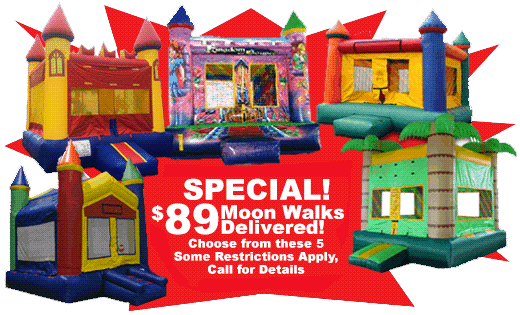 Top Bounce House Rental Specials - Reserve Yours Today! Xtreme Jumpers & Slides has various bounce house rental packages. Rent any ECONO bounce house, 2 tables, 12 chairs, and choice of concession machine with supplies for 30. Rent any bounce house, choice of concession machine with supplies for 30 (Includes 2 tables and 12 chairs). Includes Princess Bounce House, 2 tables and 12 chairs, choice of concession machine with supplies for 30, bubble machine. Includes Princess Water slide, 2 tables and 12 chairs, concession machine with supplies for 30, bubble machine. 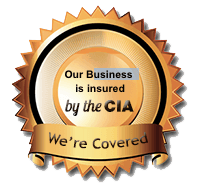 Rent any water slide and add single lane Slip and Slide. Rent any inflatable and add Speed Pitch, Batter Up, or Quarterback Challenge. Choose Lil Kahuna, Hulk Jr, Backyard Slide, or Super Splash, 2 tables and 12 chairs, choice of concession machine with supplies for 30. • Depending on your location discounts may not apply, call for details. • Packages are dependent upon availability.